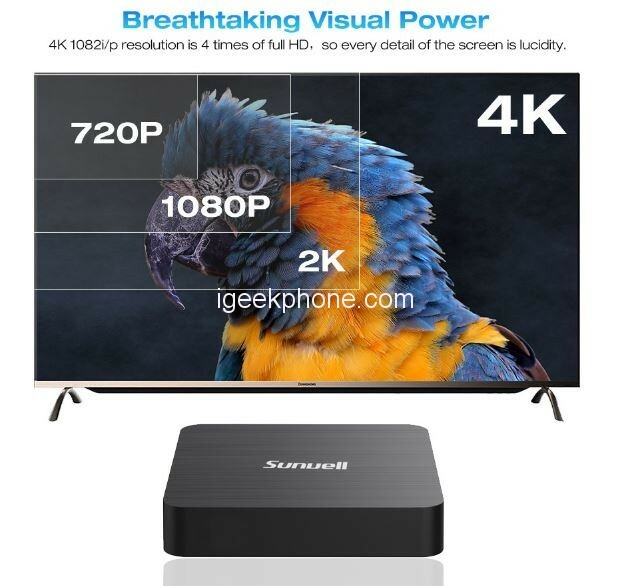 Sunvell H3 2GB RAM + 16GB ROM TV Box takes you into the world of entertainment, a TV box that allows your whole family to enjoy a happy movie time together. Watch thousands of movies and TV episodes on vibrant 4K Ultra HD TVs in contrasting colors. Quickly search for more than 200 integrated channels to find what you like. More importantly, Android 7.0 provides more stable and smooth operation, allowing you to launch operational components in the picture in picture ( PIP ) mode so that you can store or query personal information, including documents, files, data forms and web pages. 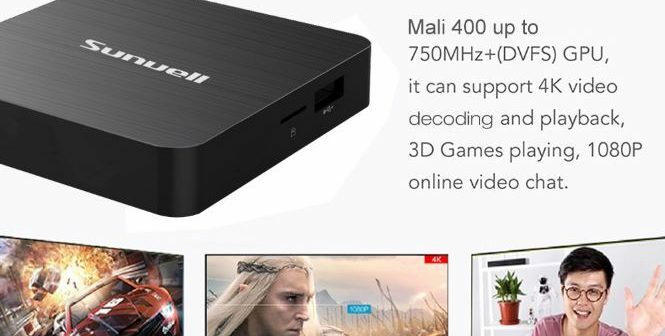 The Sunvell H3 2GB RAM + 16GB ROM TV Box was recently added to its TV Box line. This Sunvell model displays HD picture quality in 4K. 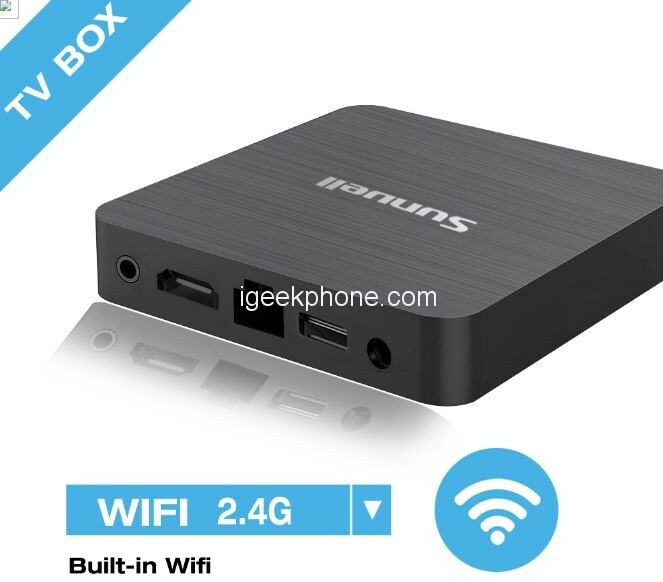 The Sunvell H3 TV box has 2GB of Ram and 16GB of storage space. The manufacturer has also integrated the PIP or image function into the image. This box TV provides many functions: broadcasting music, photos, video. With a thickness of 1.7 cm, a weight of 150 g and a compact size, the Sunvell H3 is easy to handle. 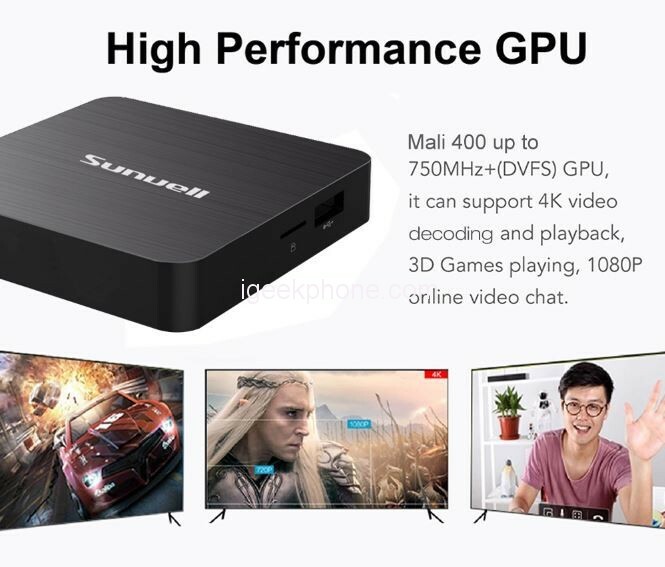 The Sunvell H3 2GB RAM + 16GB ROM TV Box sports the new high cost-effective chip, Allwinner H3 CPU, quad-core, Cortex-A7, and a Mali 400 GPU, 750MHz. This chipset is supported by 2GB of RAM and 16GB of internal storage which can be expanded up to 64GB. The implication of this hardware combination is that users will experience high performance and the video/image quality is ten times better than an average TV box. In addition, this SoC is a low power consuming chip which delivers a seamless operation. Although this CPU has only four cores, it can offer a fantastic daily performance. You can either watch movies at high speed or download applications you want to use, and you don’t have to worry about its RAM size, it is more than enough.